This research aims to identify the genetic etiology of autism spectrum using the latest laboratory methods. 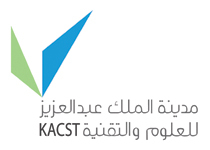 The project began in 2008 after obtaining ethical approval and research permit from the Research Ethics Committee at King Faisal Specialist Hospital and Research Center in Riyadh. Emphases have been placed in the first two years to re- diagnose cases and reassess medical information and family history. Genetic investigation and analysis have been done on stages, and a genetic panel for Autism has been developed in cooperation with the Saudi Genome Project that includes 236 genes linked to autism. It has been used for genetic diagnosis in the initial cases that were diagnosed by the Autism Research Center, and results are currently being evaluated. The final phase has not begun, but preparation for it has started, which includes a detailed study of the function of identified gene mutations in Autism spectrum.